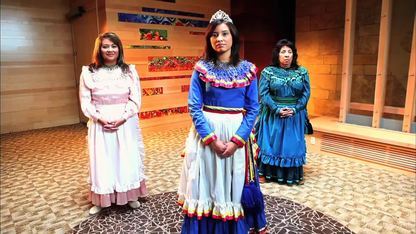 Three generations of Chickasaw women reflect on their cultural heritage and its importance in their lives. Featured are the grandmother, JoAnn Ellis, mother Johnna Walker and daughter Nacobi, who will be passing Chickasaw oral traditions and lifeways on to her children and grandchildren. All see the Cultural Center as a treasure that will have significant impact. As a Native speaker, JoAnn Ellis is vital to the Chickasaw Nation. JoAnn Ellis, Johnna Walker and Nacobi Walker are family. They're women. And, they're Chickasaw.